How Good is the New Law for Recovery of Bad Corporate Loans? The new Insolvency and Bankruptcy Code (IBC) appears to be failing in recovery of NPAs, and helping big corporates in getting cheap assets. With bad loans of corporate houses – including those owed by fugitives like Vijay Mallya and Mehul Choksi and Nirav Modi – worrying the common people and dragging the whole banking sector into a crisis, there is widespread curiosity about how exactly is the beleaguered Modi government handling things. The new Insolvency and Bankruptcy Code, 2016 (IBC) was hailed as a fresh and effective weapon for speedily recovering bad loans – called non-productive assets or NPAs - from corporate debtors. Two years after being put in place along with a range of amendments in related laws governing companies and banks, use of the IBC has resulted in recovery of only about 55% of over Rs.89,400 crore worth of bad debts of 32 companies that came up for consideration. That’s a write off worth a staggering Rs.39,620 crore. Also, another bunch of 136 companies with a total debt of Rs.57,646 crore went into liquidation yielding a paltry Rs.4817 crore or a mere 8.3% of the debt. These data have been put out by the Insolvency and Bankruptcy Board of India (IBBI) which is the designated regulator for all insolvency or bankruptcy processes. Both sets of data are up to June 30, 2018. According to a Lok Sabha reply by then Finance minister Piyush Goel, once the new IBC came into effect, 6,326 fresh cases were filed before the National Companies Law Tribunal (NCLT) under the IBC, 2016 and 2,323 winding up cases were received on transfer from various High Courts, till 30 June 2018. That means, there were a total of 8649 cases of debtor companies unable to pay off loans taken mainly from banks and other financial companies, with a small share also owed to operational creditors. Of these nearly 9000 cases, some 4,390 cases were “disposed” and 907 cases have been admitted under IBC in NCLT, the minister said. The cases under consideration can then move along two paths: either some entity – like another company – comes along and agrees to take over the sinking company, pay off its debts in part or nobody comes forward and the assets of the sinking company are sold off (mostly at junk prices) which is called liquidation. IBBI provides data for both types of cases. It appears that 32 companies with a massive debt overhang of Rs. 89,402.43 crore were successful in getting their matter ‘resolved’, that is, some other company took over their assets and liabilities. This ‘resolution plan’ was approved by the NCLT. Data shows that such ‘resolution’ resulted in recovery of Rs. 49783.17 worth of debts, mostly owed to financial creditors like banks. That means, some Rs.39,619.26 or 55% of the bad loans were down the drain. 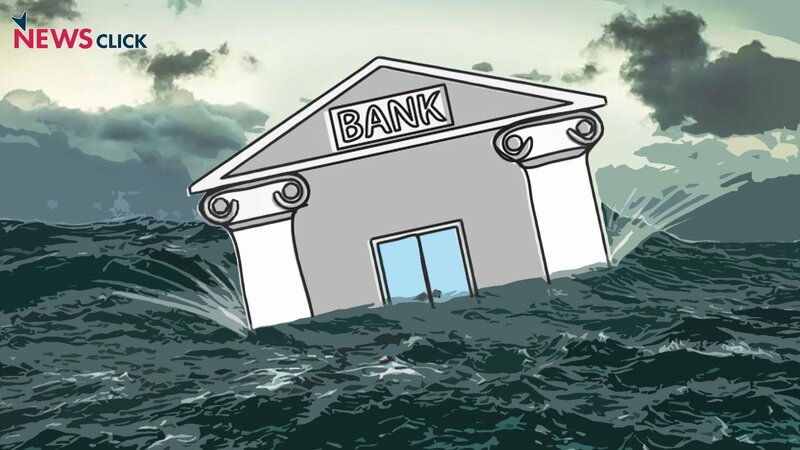 Although IBBI does not say who were the companies that bought out the debtor companies, media reports indicate that some of the big fish in India’s corporate world are making merry, snapping up these sinking companies at very cheap rates. For instance, Bhushan Steel, which was in the red for Rs.57,505 crore was reportedly taken over by the Tata group for Rs.36,771.32 crore. That’s a saving of Rs.20,773.73 crore for the buyers – but a loss of that much amount for the public exchequer because the debt was to public banks and institutions. This brings out one of the key aspects of the new IBC, hailed as a paradigm shift. It facilitates the take over of companies by those with deep pockets. The small fish getting gobbled up by big fish. Now, have a look at the other path – when the debtor company finds no good Samaritan and has to go into liquidation. Has the new IBC helped in either recovering more debt from such companies? Doesn’t look like it because assets of 136 companies with Rs. 57,646 crore debt had to be sold off as junk fetching just Rs. 4817.31 crore – a mere 8.3% of the total debt. Here too it is the public exchequer which took the blow. So, in short, the new IBC has simply facilitated a sort of screening out process whereby some of the more lucrative companies that went into debt because of whatever reason (external factors, internal malfeasance) would be cheaply bought by big corporate houses while the riff raff would be sold as junk. And, all this in a time bound process. As finance minister Arun Jaitley said at a conference on insolvency and bankruptcy in August last year, “I think this is the only correct way by which businesses would now be run and this message I think has to go loud and clear to all”.